Adventuring Beneath the Surface at Disney's Jungle Book Filming Location! I hadn’t been caving before but thought, why not celebrate my first caving experience by leading a group of people on the adventure with me? Ha! So, to give myself some confidence and to at least look like I knew what I was doing, I got a caving specific helmet on Amazon and luckily, I had recently bought a new Black Diamond headlamp to replace my clunky Walmart one. 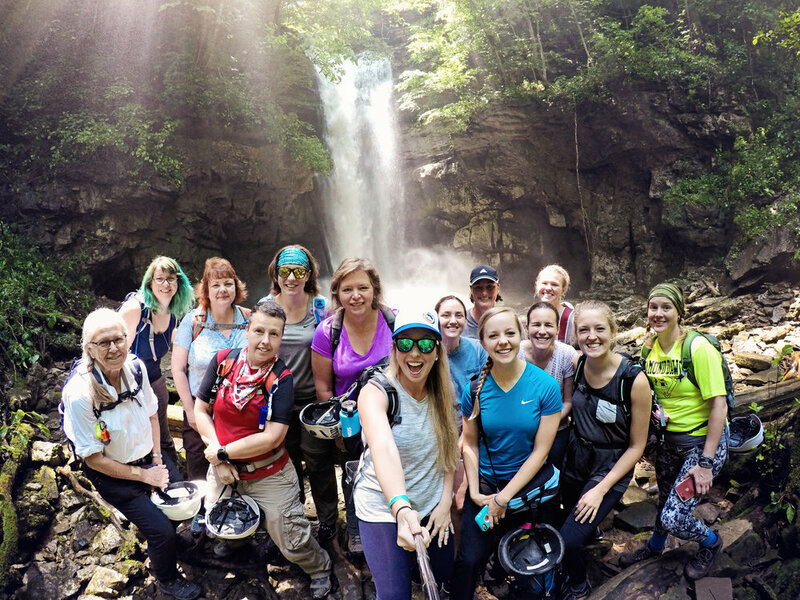 Our group met at the Lost Creek State Natural Area and hiked the short .2 mile trail to Lost Creek Falls. This area was a filming location for Disney’s 1994 The Jungle Book- we immediately realized why they chose it! Our area recently had a lot of rainfall so, the waterfall was RAGING. Everyone stood in the spray and took amazing photos before we walked to the other side of the trail to the Lost Creek Cave entrance. As everyone got their helmets on, a ranger popped up out of nowhere. The water level was really high so all I could think was PLEASE don’t tell us we can’t go into the cave! He checked to see we had the proper permits, warned us to be careful and gave some directions. We started the journey into the cave. As you turn the bend, it’s complete darkness. The ranger told us about a big climb before we would get to the waterfall within the cave. So, with every section of climbing up and over boulders, we said “is this the big up and over?” Then, when we actually got to it, it was obvious. We reached the point where we were looking down the rocks into rushing water, and we could hear the waterfall around the corner. A few of us questioned if the water was deep enough to sweep us away into the cave. “Well, let’s go see!” There is a “slide” on the right side where you just hope your ankles survive at the bottom. Then, we walked through the water, which was deep enough that my waterproof Ahnus filled right up. The waterfall was incredible. There is something about standing at the base of a waterfall deep in a cave looking at it through only the beam of your headlamp. Climbing back out was a bit tricky. With the spray from the waterfall and the foam everywhere, one of the girls described it as rock climbing in a car wash, haha! Most of the girls in our group left the cave like “which cave is next? 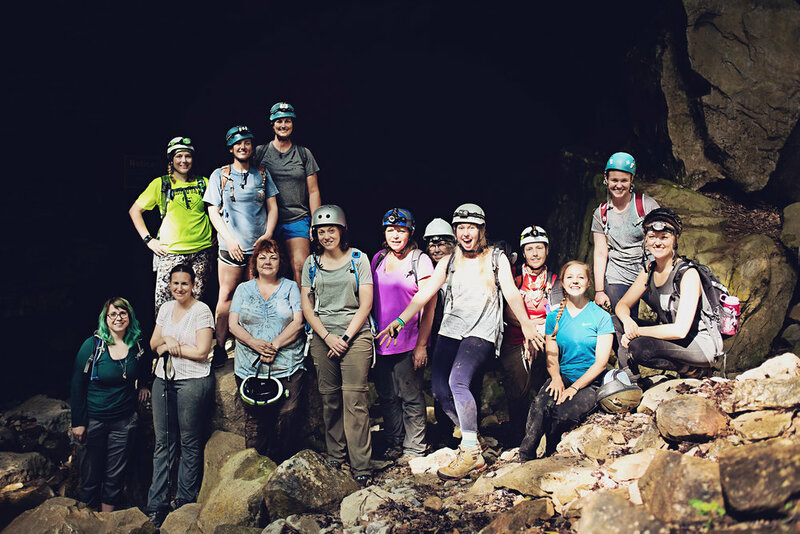 !” 20% of the nation’s known caves are located in Tennessee so, we won’t have trouble finding our next adventure! Tell us in the comments about your favorite caving experience or a time you tried something new and loved it! Jenny is the Ambassador for our Tennessee chapter. 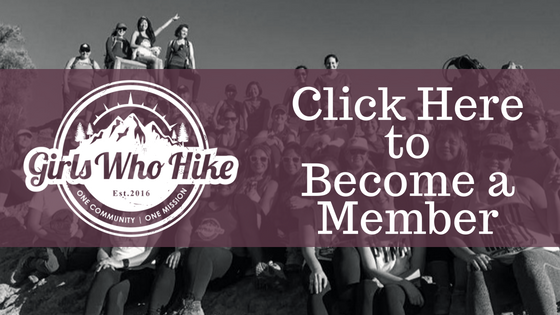 You can join her local meet ups and discussions through Girls Who Hike Tennessee by clicking here.